Six social media influencers from across the Gulf region have completed a summer challenge that set out to prove Dubai provides great value to visitors. 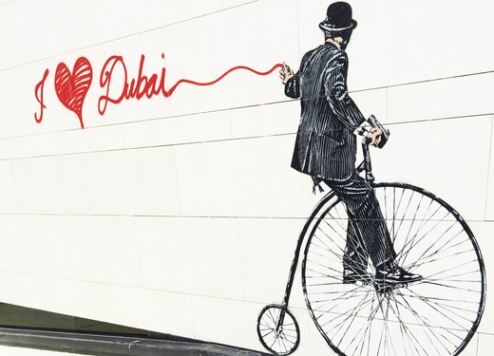 It was part of an awareness campaign launched by the Department of Tourism and Commerce Marketing (Dubai Tourism) to highlight the diversity of value offerings tourists can experience during their stay in Dubai. The initiative gave the six participating influencers – Ahmad Al Barqi, Rayan Khalid Alahmary, brothers Hassan Bin Mahfouz and Hussein Bin Mahfouz, Faisal Al Yammi (all from Saudi Arabia) and Kuwaiti national Hessa Al Khattaf – the opportunity to experience an amazing Dubai holiday with a budget of just AED3,000 (US$817) each. A key objective was to enjoy more for less with the ultimate champion being the one who was able to get the best value from the allocated budget. The challenge featured eight elements that participants had to cover or complete in Dubai within the budget during their three-day stay: Transportation (air tickets as well as domestic transport); accommodation; and value for money shopping – highlighting Dubai Summer Surprises (DSS), as well as the DSS Pass featuring multiple deals and offers. This activity included a mandatory requirement: the purchase of at least one complete outfit. Participants also had to visit one new ticketed attraction that opened in the last 12 months; try at least three different types of cuisine; enjoy a cultural experience; and enjoy one attraction that offers free entry such as Dubai Fountain or Dubai Water Canal. The final part of the challenge was to secure the best bargain by visiting a designated Souk and purchasing a predetermined product at the lowest possible price that would demonstrate the participant’s bargaining skills. All participants managed to complete the eight tasks in the challenge without finishing their entire budget, giving them the opportunity to enjoy additional experiences. Some of the Dubai landmarks, attractions and experiences selected for the challenge included Bollywood Parks and Legoland Waterpark in Dubai Parks and Resorts, IMG Worlds of Adventure, Outlet Village, Hub Zero at City Walk, Dubai Ice Rink at The Dubai Mall, the Sheikh Mohammed Centre for Cultural Understanding, Etihad Museum and Al Fahidi Historical Neighbourhood.